Very soon London will be able to enjoy larger cruise ships near central parts of the city thanks to a new passenger terminal that’s being planned. For the first time in at least 35 years the Times says a passenger cruise terminal will be built in the heart of London on the Thames. 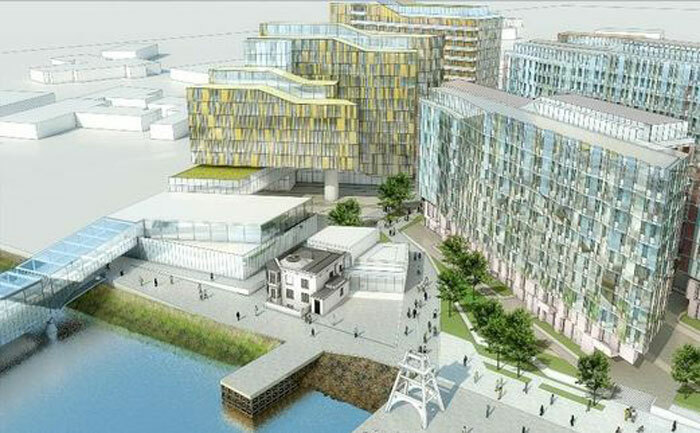 The new terminal will be built in Greenwich at the Enderby Wharf which is a historic navel location in London that also holds the Old Royal Navy College and the legendary Cutty Sark. The new facility that will be able to berth ships up to 850 feet long is set to open in two years but won’t be able for cruise ships like the Oasis class. Even the Carnival Vista which is currently under construction in Europe will be just a little too long to dock there. The Thames River is simply to shallow to ever cater for the worlds largest cruise ships so London will never be able to overtake Southampton as the UK’s cruise hub. Smaller vessels from Silverseas, Windstar and Viking Cruises already use London as a port of call but have to use a small floating pontoon and the only way to embark and disembark is via a launch. The project first started in 2012 where it was refused permission to start. Now after a change in the design the new facility is set to go ahead.